Setting out for a long ride is different to setting out for a normal weekend loop. 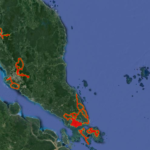 Last weekend I planned a 250 kilometre loop through Johor, Malaysia, starting from Woodlands and ending in Pengerang. As the alarm sounded at some ridic hour, the morning was still, quiet. Some might say it was still nighttime. I say it was the start of an amazing day. The air filled with nervous energy, mixed with excitement, similar to that race day feeling, however with no expectations to perform a relaxed atmosphere persist instead. Having set out my gear and done a bike check the night before, the morning was an easy one to auto pilot. Coffee, load up all the food my jersey could hold, and roll out the door. 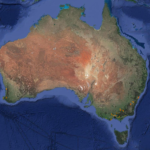 I met with Rob and Pete at 5:15am and we set out on our 250 kilometre adventure. The ride to immigration was a standard affair, being Easter weekend it was a gamble crossing the causeway. This weekend the gamble payed off as the Singapore side was empty. We cleared with no queuing at all. Rolling over the causeway we encountered some vehicle traffic which was backed up however this is easily avoided by bike as you roll passed into the moto lane. Clearing the Malaysian side was also a breeze. Remember to keep to the right hand side of the 3 lanes split heading into Malaysia. 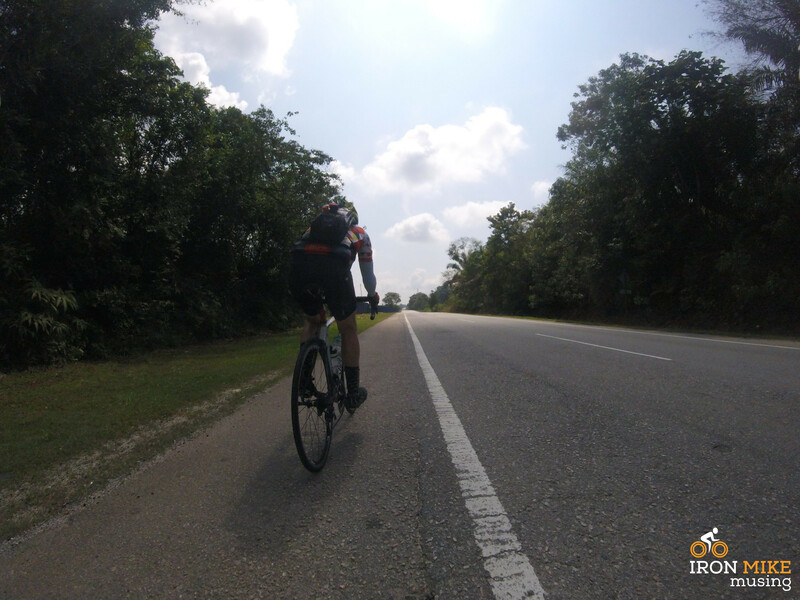 Our route was to head along Danga Bay towards Skudai and then onward to Kulai via Gunung Pulai. We stopped to top up water bottles at the Shell service station immediately past immigration and grabbed an iced coffee. From Shell we rode to Gunung Pulai more or less unbroken, which makes for a a nice 55 kilometre ride to the base of the climb. The air was cool, the sun had not fully risen and the roads were fast. Rolling through Danga Bay in the morning can be surreal; seeing the built up Johor surroundings to your right juxtaposed against the Johor Straight and Singapore Sungui Buloh Wetlands to your left. 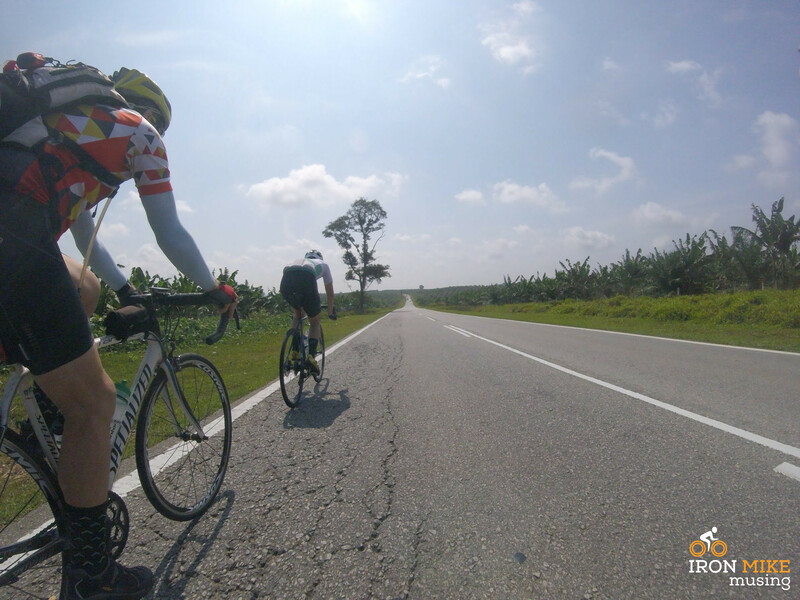 The traffic situation was not perfect as the road through Skudai towards Pekan Nanes is highway, however Malaysian drivers are usually respectful of cyclists. Being a reasonable 85 kilometres from Long House the Gunung Pulai climb is reachable by bike. However as the climb is narrow, has a lot of walkers and has many sections over 20%, I would NOT recommend riding this climb for safety reasons. It was dangerous to descend, and reports are the road is closed to cyclists. We must have caught a nice guard at the base to let us through. 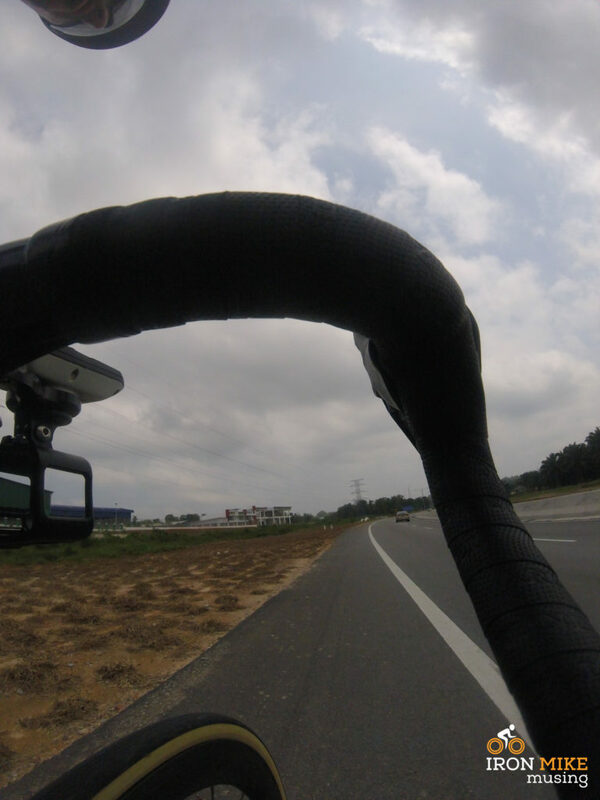 As we rolled through the first guard station before the base of the climb the air was cool, chilled. We looked towards the peak, covered in a misty fog, a sense of excitement lingered. Further to the point that cyclists are perhaps not welcome, right before the road pitches upwards there is another checkpoint which had closed gates. A small side walkway was open which we carried our bikes through. As we started to climb the road narrowed severely, to that of a walking track. With only enough room for 3 people to walk side by side. The pitches were immediately steep, touching and breaching 20% before levelling out to reasonable values in the 3% – 7% range, until you hit the next 20% section. The first plateau is around 900 metres into the climb. A long steep section follows the plateau and as you bend left around a corner, crossing a small bridge you find the next short plateau. Around 2.8 kilometres into the climb. Enjoy the momentary touch of respite on the bridge before the road kicks again to gradients over 25%. It stays like this until the top where you are met by a gate, and a guy with a machine gun. The descent is obviously as steep as the ascent and should be taken with extreme care. Please be mindful this is a walking track and people have the right of way. Alloy rims or disc brakes are a must on this hill. I had to stop twice and cool my carbon rims with water as they felt at risk of over heating. 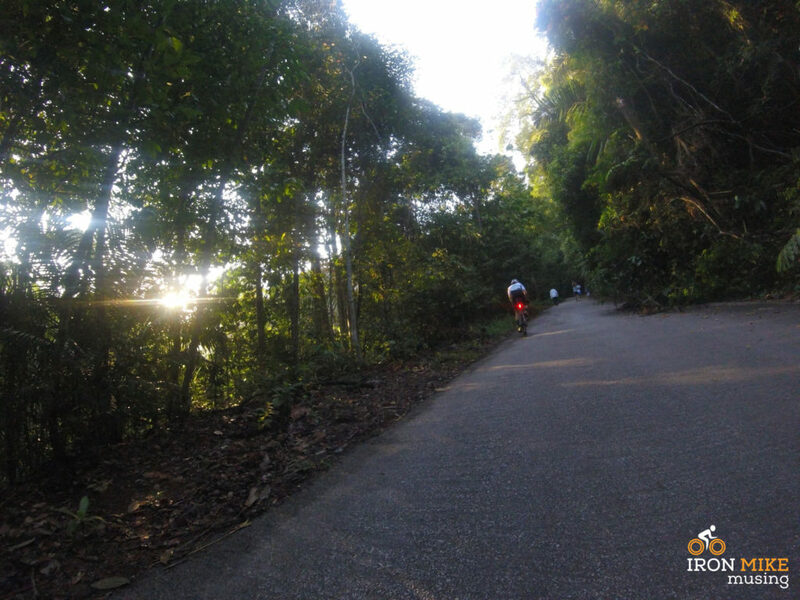 After tackling the climb and agreeing it was the most absurd thing we had all ridden, we set our sights on Kulai for a drink stop and a morning snack. The climb was as challenging as Bukit Kledang climb in Ipoh. Personally I think the Bukit Kledang climb was more challenging, mainly because of the surface and number of people. Kulai sits a relative stones throw from the base of Gunung Pulai some 12 kilometres away. We motored over to the first service station we spotted and grabbed a bunch of water and softdrinks. 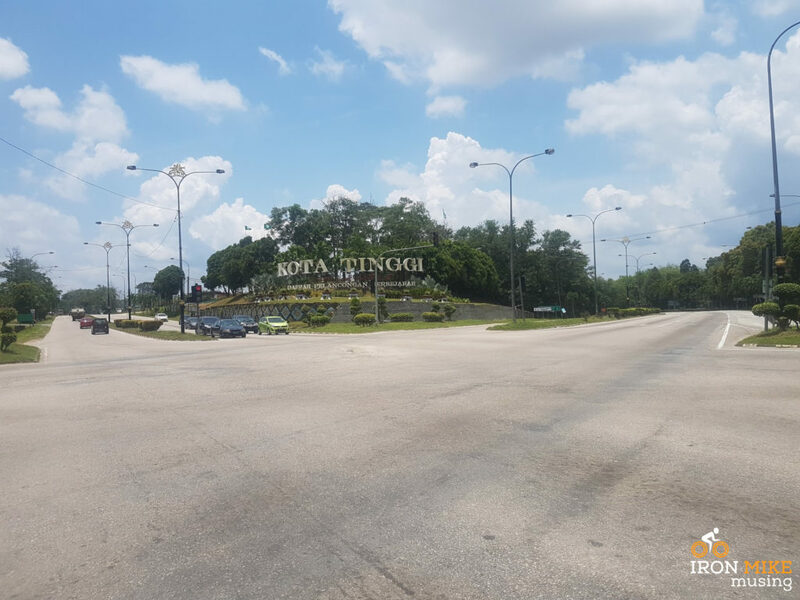 Kulai to Kota Tinggi is separated by roughly 45 kilometres of rolling highway, the 94. Riding highway 94 from West to East was a nice change. 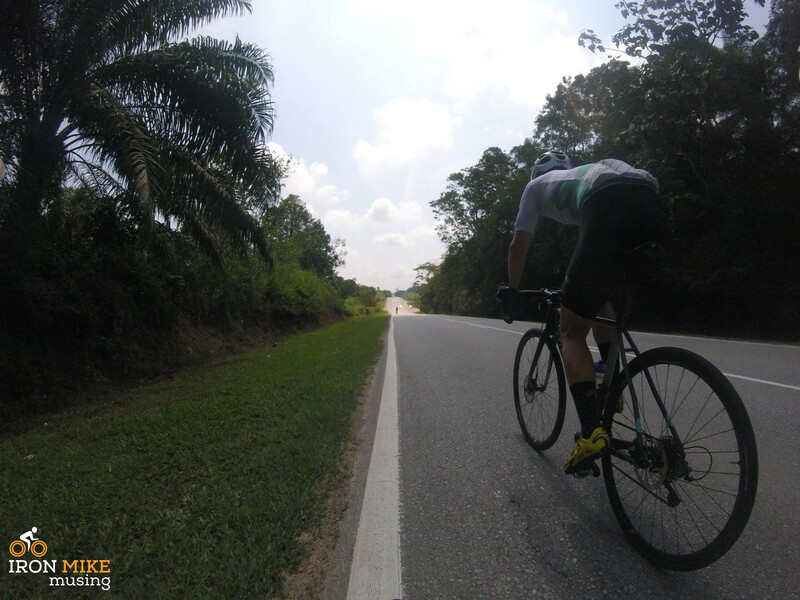 During a Kulai Loop you ride the 94 East to West. 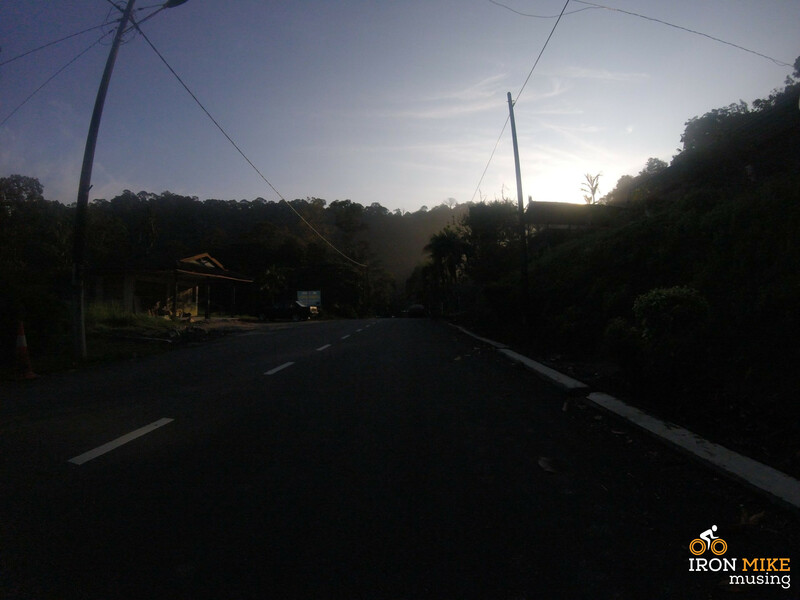 Navigation was easy as we left Kulai, simply followed the signs to Kota Tinggi. The road is long, exposed and by now the temperatures were well into the 30’s. At this stage we’d ridden over 100 kilometres so the legs were starting to fatigue. 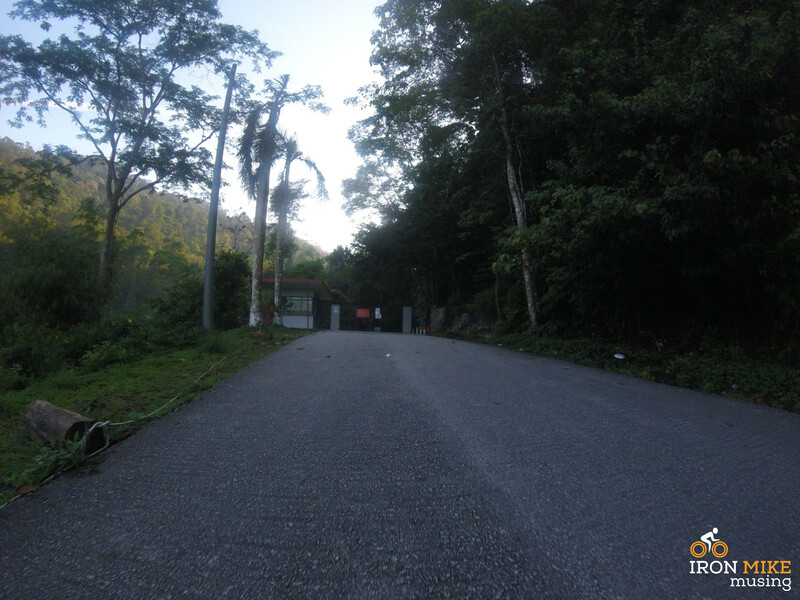 The rolling nature of the road lends itself to those who can sustain a high tempo and absorb the many ramps on offer. It feels like the road is always climbing however I believe there is a net negative gradient. Fast forward 2 hours and we had arrived in Kota Tinggi. Time for the obligatory Espresso Magnum, however the service station we stopped at did not stock them. The other flavours are just as good after 7 hours of adventure. Temperatures were creeping into the high 30’s and we decided to re-route down highway 92 as opposed to the planned ride down highway 99. This was going to save us around 12 kilometres and half an hour in the now searing heat. 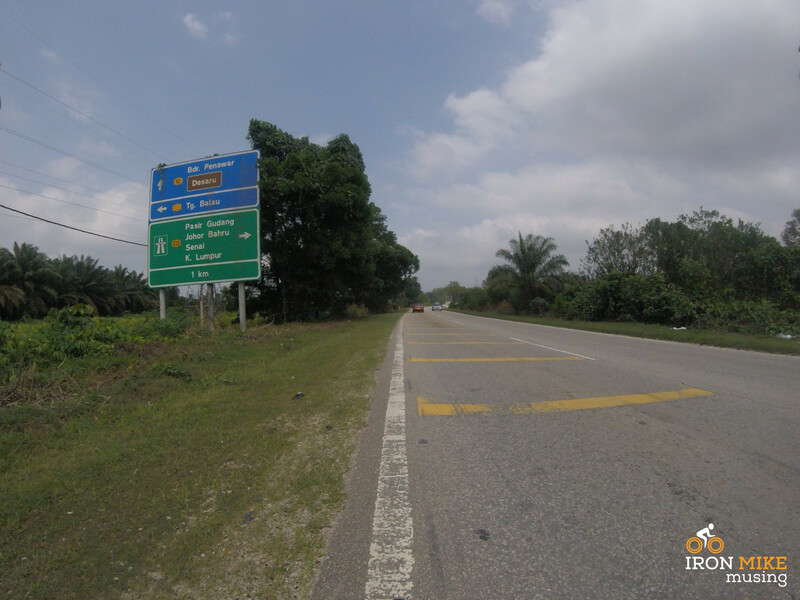 As we rolled out of Kota Tinggi we got lost, the signage was not great, and we had to double back a couple of times before we found the correct turn to highway 92. It was a right fork in the road, followed by a right turn. Highway 92 was not a particularly pleasant road to ride. It was a narrow 1 lane 1 lane road with loads of cars and trucks. In hindsight highway 99 might have been the better option. There are less palm plantations through the eastern regions so sections of the 92 are shaded and covered by trees. A pleasant change to the sun drenched 94. The max temperature I recorded was 38’c. Suffice to say the amount of water we had did not last long and we stopped again after 32 kilometres, just shy of Bandar Mas. By now we were 180 kilometres into the ride and outside for over 9 hours. After filling up water bottles and enjoying an extended stop, consuming lots of food, we set off for what was going to be the last leg on the adventure. As we approached Desaru Utama the abridged plan was to stay on highway 92 all the way to highway 52 and then straight to Pengarang. This section was 57 kilometres. Rolling past highway 90 and the turn to Desaru beach, the skies turned and the temperatures came down considerably. This change in temperature, coupled with the fact we were so close to home meant spirits were high for one last push to the end of our ride, and the boat back to Singapore. Highway 92 is a relatively built up road which has a good amount of shoulder to ride along. The local council are developing the area so there were sections of new roads mixed with sections of road works. The 92 was largely unmemorable for me. I think I was pretty tired by this stage. 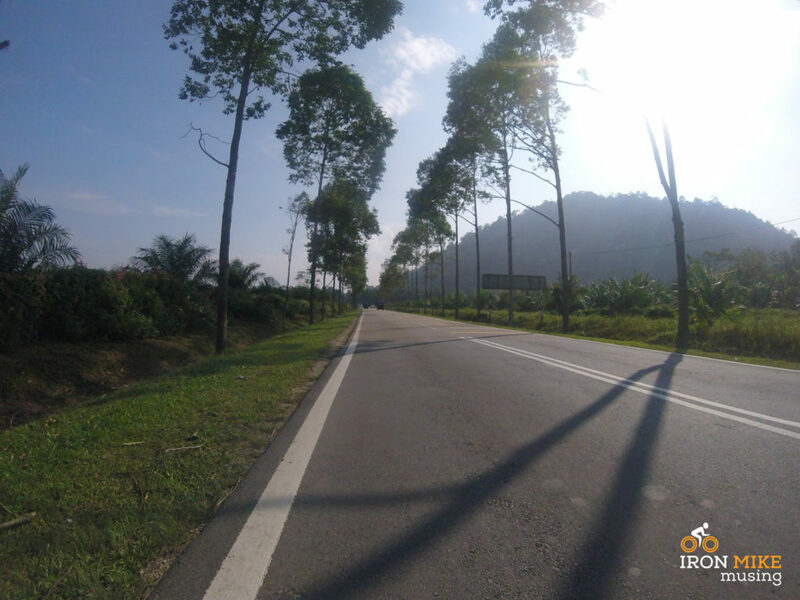 After turning right onto highway 52 to Pengerang we were greeted by 2 lanes of split highway, new tarmac and a nice large shoulder to ride down. Also looming in front were the black skies of rain. As we rounded a bend there was a wall of rain in front of us. I have never quite seen anything like it, across a line on the road 10 metres away was torrential rain, and where we were was dry. We rode into the storm. After passing through the worst of the rain shower the roads stayed wet for the remainder of the ride, which was a welcome change from the tropical temperatures. See the completed ride details here. A slight deviation from the plan, still an amazing ride. We reached the ferry terminal just before 4pm making for a total of 237 kilometres in an elapsed time of just over 11 hours. Around 20 kilometres shy of the planned route, but given the temperatures, the timing and the roads this was totally fine. We were all delighted to have finished this ride, high fives all around and a solid sense of accomplishment was had. We happened to find the ferry operator waiting for us, and he had 3 seats available so we wasted no time and jumped straight on a boat home. All in all this route was amazing to ride, 100% would do again. Please feel free to leave a comment below if you’d like to join me on the next long adventure.